Philipp Stölzl was born in Munich in 1967. Phiipp graduated as a stage designer in Munich and later became known for his first music video he filmed in 1997, Rammstein ʼDu Hastʼ which lead him to great success overnight. 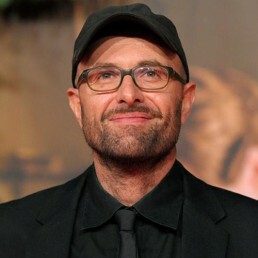 Since then he has directed various feature films, commercials, music videos and operas. Madonnaʼs ʼAmerican Pieʼ and the title song for the James Bond film ʼThe World Is Not Enoughʼ by Garbage is just a few of the amazing works Philip completed in his fulfilling career. Since 2000 Stölzl is increasingly active in advertising and has shot various spots for brands such as BMW, Nokia, Rolex, Sony, New York, and Sky. Philipp has two children and lives in Vienna and Berlin. Please be aware that we do not represent every director on an exclusive basis in every country.